These clever storage ideas for small spaces will help you to organize your home by making the most of the space that you have available. We all wish that we had just a little bit more space, right? Chances are, you could use a few storage tips to make your space feel a little bit bigger, and make your belongings look just a little bit more organized. Along with giving my home a good ‘ol spring cleaning, I like to take a few days in the Spring to work on maximizing my home's storage space as well. The following tips will help you to maximize storage throughout your home to keep your things better organized. You know what area of your room is completely un-utilized? That bit of space about a foot below your ceiling. It’s practically useless space, aside from the fact that it helps hold your ceiling up. You can, however, put this useless space to use, by installing floating shelves all along this area of your wall. You can choose to do this for just portions of your walls, or all the way around the room. If you’re very short on space, consider putting in a consistent shelf all the way around the room! The best sorts of things to store on a shelf like this are collectibles, books that aren’t read very often, and any other belonging that doesn’t need to be used very often but definitely still needs a place to live. A garage is the perfect place to store seasonal items and other things that just don’t get used very often. Just make sure to carefully label everything you take out to the garage, so you don’t spend twenty minutes searching through boxes of christmas lights when your kid is looking for their minion halloween costume. Here are some tips for maximizing your garage space. 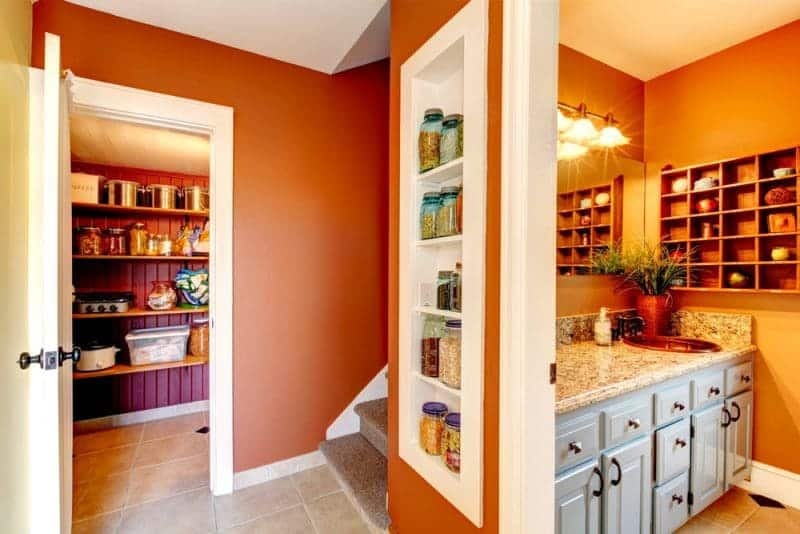 If your storage could be hidden, and use up no extra space, that would be the ideal situation, right? Coffee tables that open up to reveal storage space or shelving underneath, bed frames with storage drawers that slide out, and headboards that have secret compartments in them that can expand to reveal a small shelf, are the perfect solution to a space that just doesn’t have enough room for everything you own. Does your closet barely even look like a closet? Is it more like a tiny indent in your room that will hold approximately 5 shirts and a pair of jeans? To expand your closet space, hang a clothing rack in the corner of your room. Having this installed directly into the wall means you can use the floorspace below for shoes and other belongings. To make things even more organized, you can invest in some bins or cube storage, so you can fit even more things into a small space. Certain things such as hats, winter socks, and decorative belts just don’t get used every day. And you only have so much space on your floor or closet shelving to store and organize these items. Fruit baskets are easy to install, and store a lot more than you’d think, as well as being an inexpensive item to purchase. If you hang a few of these from the ceiling of your closet, you’ll find yourself with a lot of free space you weren't anticipating. This trick also works great for office spaces, as well as for actual fruit and perishable items in your kitchen. Check out these helpful small kitchen tips. When you put something into a drawer do just casually thrown in and close the drawer? 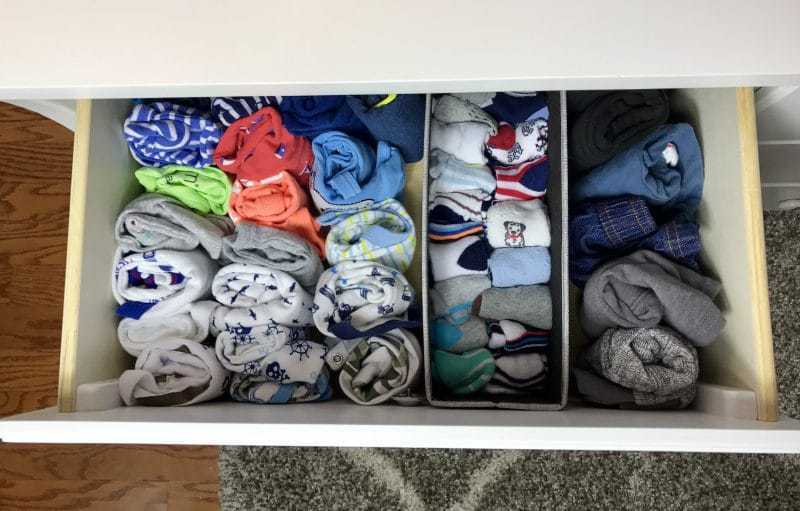 Do you put any effort into placing items into drawers neatly and in an organizes fashion? How about making sure that the thing even actually belongs in there? Getting dividers for your drawers will not only keep you organized, but it will help you optimize the space that you have. When everything is just thrown into a drawer, you can’t fit nearly as much into it because it’s a mess. Little compartments and areas for different items, will make your drawers feel 10x bigger. Plus, it will make finding whatever it is that you are looking for a million times easier as well. If you’re the type of person who likes to read before bed, a bookshelf headboard might be a perfect storage solution for you. Not only is a bookshelf headboard a unique decor choice, but it is functional as well. If you do decide to install a bookshelf headboard, I bet that you will find yourself storing almost anything important there, not just books. Do you have any additional storage ideas for small spaces? I hope that these storage tips gave you some ideas for making the most of your small space. 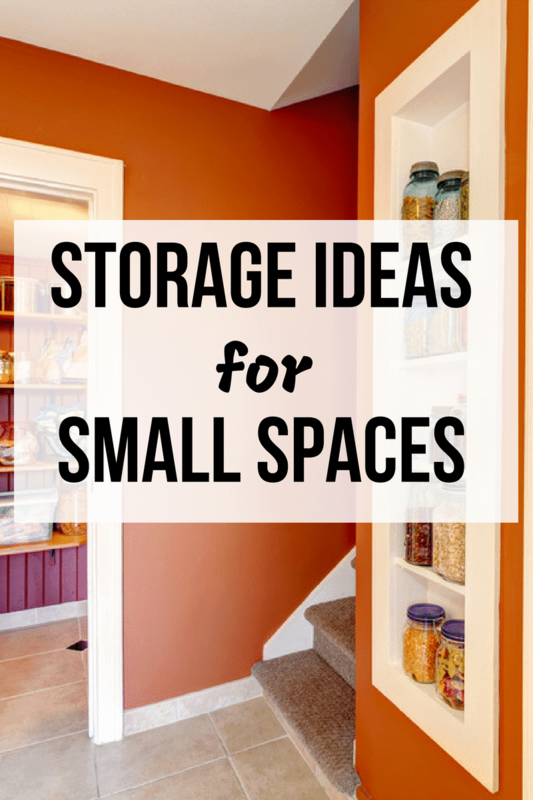 Do you have any storage ideas for small spaces that we forgot to mention? If so, please share them with us in the comments below. We would love to hear some more storage and organization ideas! Kitchen Cabinet Pantry Organization + Free Printable Pantry Labels! I have virtually no storage space in my apartment, so these are great ideas. Thanks for posting! I could use all the help I can get. I am running out of room for sure! Love these ideas! I would love that bed with the open storage all around the base. Unfortunately I don’t have a garage but I’m sure I can use some of the other ideas. Very clever ideas that will be helpful as we remodel our daughter’s small bedroom.